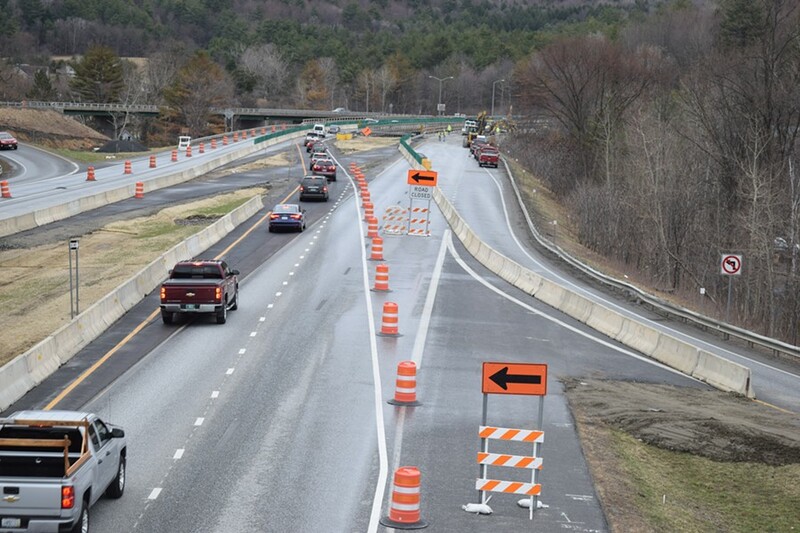 Traffic heads south on Interstate 89 at the Waterbury exit during a 2015 bridge construction project. The Vermont Agency of Transportation on Wednesday set up electronic message boards on state highways to display the number of people who have died in highway accidents this year. VTrans says it will show the tally throughout the state every Wednesday in an effort to encourage safe driving. The agency is modeling the program on similar initiatives in Tennessee and Colorado. Boards were set up in Waterbury, Milton, Richmond and other locations. Thirteen people have died in Vermont highway accidents this year, and 57 died in 2015. VTrans also created a new application for exploring detailed information about the locations and causes of Vermont highway crashes.